Everyone can have Celtic roots this St. Patrick's Day. Celtic Astrology is the perfect way to add enchantment to the holiday with ancient druid wisdom and Irish tradition. 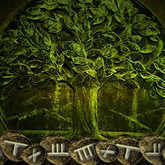 Your Celtic Astrology sign -- symbolized by a sacred tree -- delves deep into a whole new side of your personality. Tarot.com's exclusive Celtic Astrology report reveals your Celtic tree sign, ogham, color, gemstone, spirit animal and more ... so you can become closer to the natural and supernatural energies surrounding you. Celebrate St. Patrick's Day with age-old insight and deep-rooted tradition. You can also get your report for nothing, thanks to TrialPay.